Wait! You’re Writing About Chinese Takeout for Your 600th Post? 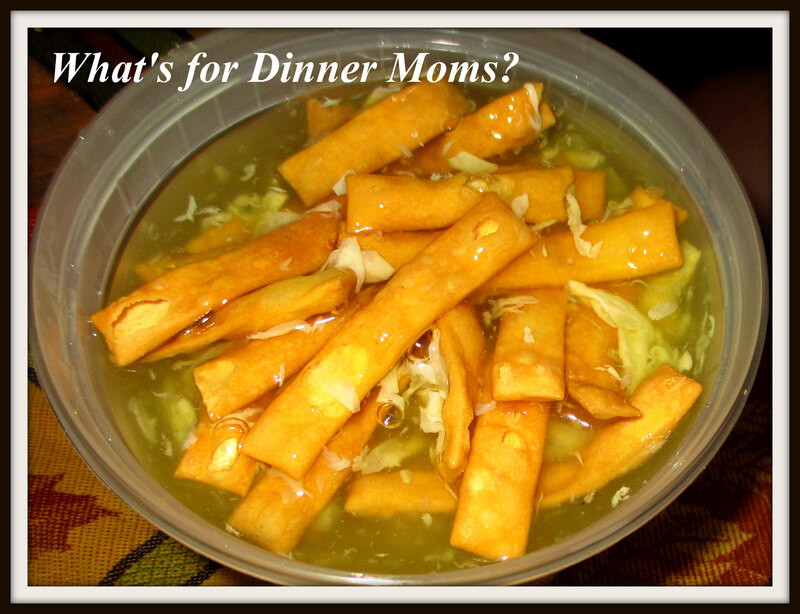 – What's for Dinner Moms? Wait! You’re Writing About Chinese Takeout for Your 600th Post? This is my 600th post. It is not anywhere near what I thought I would be writing about for my 600th post. But, this is life and this is what happens when we plan. 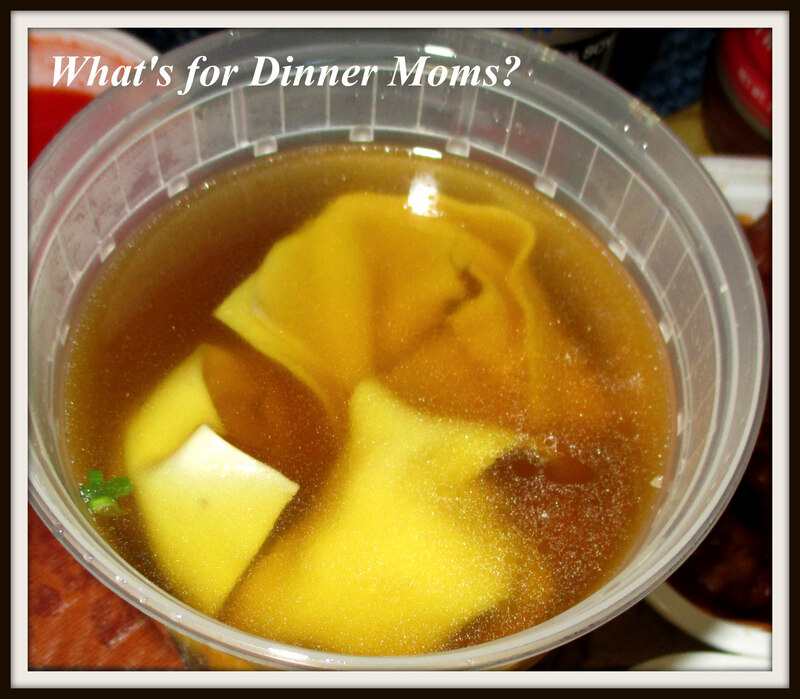 I thought maybe an elegant dinner or a surprising new dish for my 60oth post. Chinese takeout? Never. It has been one of those weeks. Every time you turn around something is happening. First the lawnmower breaks. It is about 15 years-old but the wheel broke completely off. Which wouldn’t normally be a big deal but we were 1/4 of the way through mowing the lawn for probably the last time this year. It is the end of the season for grass cutting. Do we replace the lawnmower now or take a chance and wait until spring? Other than finishing the lawn are we really going to need it again this year? My son went out to ride his bike and came back home banged up with his new shorts ripped and pushing his bike. He had hit a large pot hole and fell off his bike. Broke the seat, the chain came off and his pedal, which was just recently replaced, was bent. Thankfully, he was okay. He realized just as he fell off his bike that he had forgotten to put his helmet on. He never rides without a helmet. This really drove home to him how important it is that he is always wearing it. Then my daughter was loading the dishwasher last night with the last few dishes from the day before running it when the top rack broke and started to fall onto the lower rack. She held the rack while her brother quickly emptied the dirty dishes into the sink. The rack would not go back on the track. Ugh. So they emptied the entire dishwasher into the sink. Think about it. When your dishwasher is full ALL the dishes, glasses and silverware that are in there. The sink was overflowing with dirty dishes AND it was time to make dinner. And finally there was the cricket. We have tons of crickets around here. Not a big deal, but this one was in the stairwell to the basement. He chirped all day long. He was on my last nerve. I looked around and couldn’t even think about dirtying more dishes to make dinner. Then I heard the cricket, again. So, I did the only thing I could think of in that moment. I ordered Chinese food for everyone. Yes, I ordered Chinese takeout for my family. It was easy and didn’t taste too bad. I still think the Chinese food I make is better but for my sanity and the sanity of everyone else in my house I made the right call. We do what we have to do as parents. The kids and I sat at the table, my partner is still in the midst of tax season and would be working until 11:00 pm, and still talked and laughed. We had our family dinner. It was just different and that’s okay. There have been quite a few posts lately about families deciding to giving up family dinners. We are not going to. I don’t care if we eat dinner together in the car, in a parking lot after a game or around a table. It is not the food we eat or where we eat it. It is the shared experience we have. The taking time to talk and laugh together and to fully engage with each other without distractions. It is not about making a grand dinner with everyone smiling and eating their vegetables. It is not about forcing my family to share deep dark secrets. It is about building a foundation for those times when we do need to pull together and work together for the good of our family. It is building a foundation for the times that my children will really need to talk to us if they are in trouble. It is them knowing we know how to listen and that they can be heard. 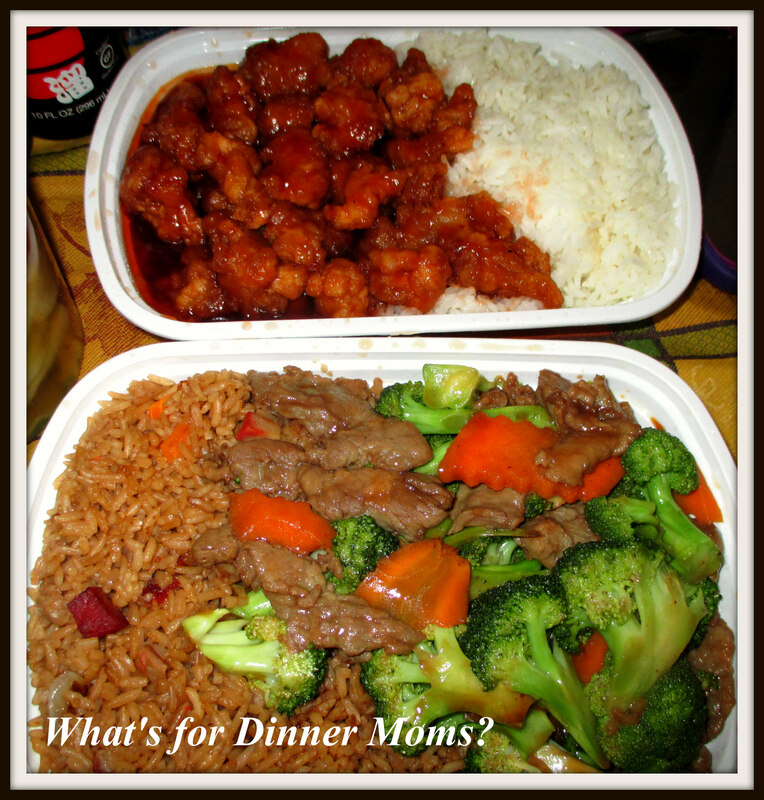 So, dinner was Chinese takeout but it was still a family dinner. They taste good too 🙂 Take outs to the rescue. Wow, congratulations on 600 posts! The second food looks like African Jollof Rice. I tell you the truth, your post makes mouth-watering.